Maximum support and shock absorption make the Superfeet GREEN insoles your go-to pair of inserts for your shoes. 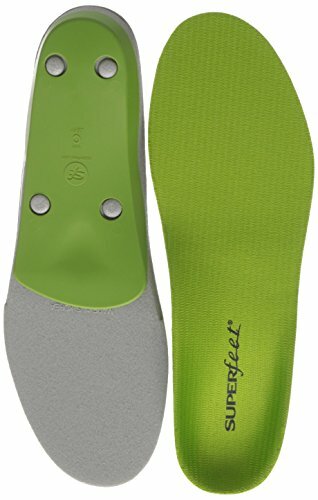 A high-profile insole, the Superfeet GREEN comes with a deep heel cup for unrivaled support and shock absorption. The BIOMECHANICAL SHAPE adds stability while improving power and control. To keep your feet fresh, the Superfeet GREEN insoles come with ODOR CONTORL COATING while HIGH-DENSITY FOAM LAYER ensures comfort.